By adding a unique 18-3-3 fertilizer to our exclusive Bio-Turf product, it truly includes everything a lawn needs. All that a lawn requires is in One product – All-in-One. 18-3-3 is formulated with food-grade sources of phosphorous and potassium. 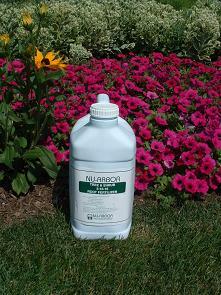 It is pH neutral, is low in salts and chlorides and has less urea, which lessens weed seed germination. All-in-all, it produces a much healthier lawn in every respect, a lawn that will grow in quality, beauty and durability over time.